Just like any other social network, YouTube has its own space for businesses to create communities. With Instagram, Facebook and Twitter, it’s all about gaining real and authentic followers. But on YouTube, it’s essential to learn how to get more subscribers. In case you’re curious, YouTube subscribers are exactly like your other social media followers. Instead, these users subscribe to your YouTube channel, so they’re updated every time you post something new. On a platform like YouTube, shareability is everything. According to YouTube, there are currently more than a billion users on the network, which accounts for nearly one-third of all internet users. And as the second-largest search engine in the world (only behind Google), gaining new subscribers can help build awareness and customers. Consistency is always key with any social network. Posting once and waiting for new followers or subscribers simply does not work. On the other hand, when you post regularly and constantly add new content to your channel, you give users a reason to subscribe. The beauty of social media is you have a lot of flexibility with the content you can publish. However, this doesn’t mean you should zero-in on only promotional video content. 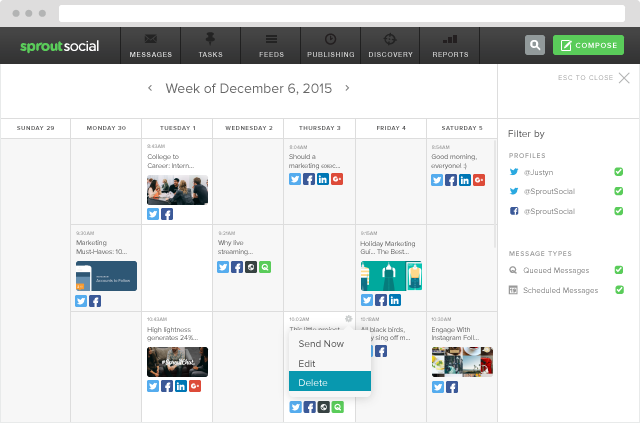 Instead, try to plan out YouTube content within your social media calendar. Scheduling and planning content on a weekly basis allows you to keep consistency with your YouTube content. This doesn’t mean you have to hit your mark every single week (especially for companies working on a video production budget), but having a plan helps keep good posting habits. Once you start to build out your video content, you’ll gain more assets for your customers. Sales teams and account managers are constantly in need of assets to use to sell your brand. Let’s face it, if you’ve made it this far into the article, you’re part of the minority. According to the National Center for Biotechnology Information, 49% of people read 111 words or less on web pages. And for video content, making an immediate impact is just as critical. In fact, the same report discovered the average viewership of a standard internet video is 2.7 minutes. While that might seem like a good amount of time, this includes various lengths of video from hours long to under a minute. Making an impression within the first few seconds of your video is essential. Businesses testing their content for advertising need to focus on getting to the point even more. While many pre-roll ads are moving toward making users watch the whole ad before viewing the content, there are still plenty of ads with five-second minimum view times. This means users can skip ads after five seconds, but if you immediately capture their attention, you have a better chance of getting a user to complete the ad. Completing an ad is essential for your business. According to Insivia, 95% of users retain the message of a video more so than the 10% who read the message through text. Catch users’ attentions with a stat or something to make them smile–anything to keep them watching. Calls to action are essential for YouTube videos because they give you an opportunity to turn a casual viewer into a subscriber, lead or even a paying customer. Make sure you don’t just place calls to action to go to your website. Instead, start by asking viewers to simply share the video. You don’t want to seem overly needy of shares, but a simple ask could make a big difference. 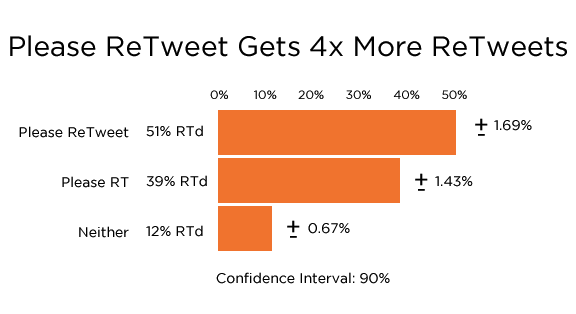 A study performed by Copyblogger found when users say Please Retweet on Twitter content, their Tweets are shared 50% more than those saying nothing at all. The same could apply to YouTube. Ask your users to share and build trust within your community. Once you start to see your group of subscribers grow, then it’s time to ask for them to view other content. If you followed our first tip, you should have a steady influx of videos to recommend viewers. Recommending those videos will allow you to build up your views and total watch time, which can improve your search rankings in YouTube. The longer you keep your subscribers’ attention, the more trust you build, which ultimately leads to happy customers. Just like searching for content on Google or Bing, the same factors play a role on YouTube. Search engine optimization (SEO) is critical for getting your videos to rank in YouTube’s search results. 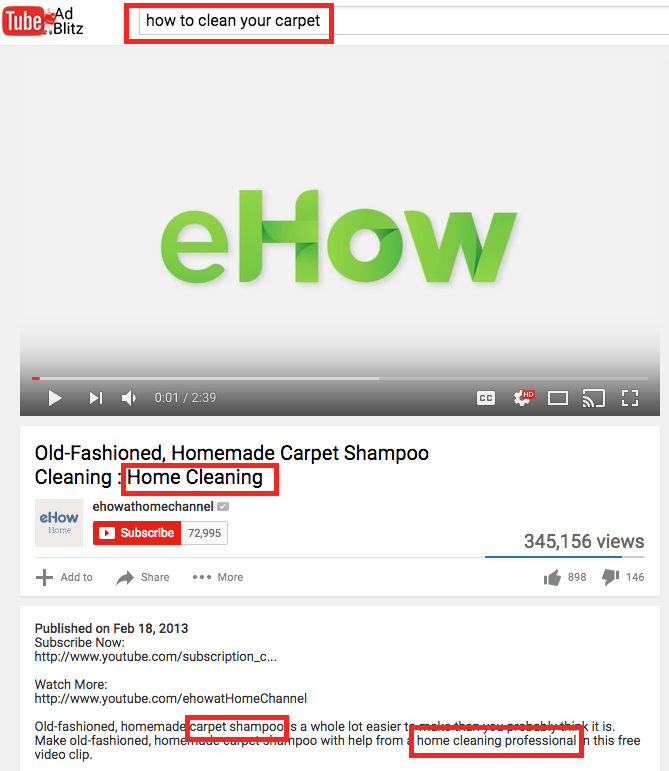 to making your content appear when someone searches a keyword related to one of your videos. General SEO best practices apply to YouTube. For instance, make sure each title, description and keyword selection is tied directly to your content. If you’re unsure what keywords to attack, try using a tool like KeywordTool.io or Moz’s Keyword Explorer to get better insights. From here you can see what people are searching to get an idea of what content to produce. Ensure your keywords are in your title, description and even said in the video itself to help YouTube better understand what your video is about. 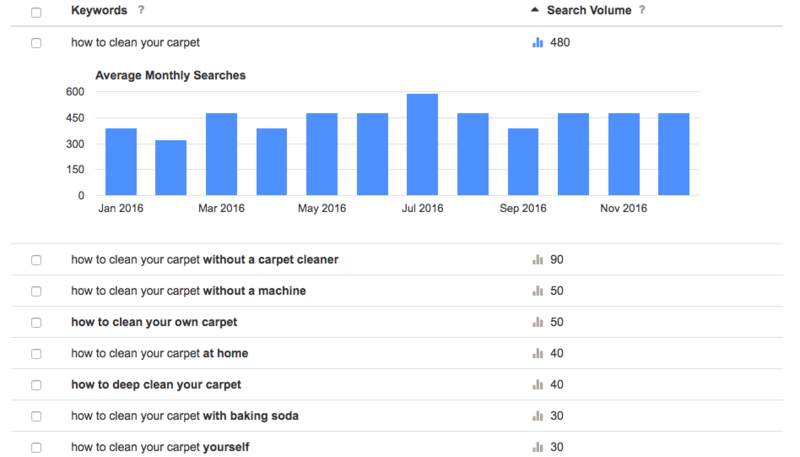 Ranking higher in YouTube’s search results for heavily-searched keywords is the perfect way to get more subscribers to your channel. If you want users to take you serious on YouTube, put some effort into the quality of your content and page. One way to make your channel look great is by adding custom thumbnails. These images are used in place of a specific screenshot image of your video. If you don’t use a custom thumbnail, you might end up with poor and unedited shots. This looks even worse when the image snaps you while you’re talking. Instead, Oxiclean does a great job at using a custom thumbnail image that clearly shows their product and the title of the video. Which of the videos would you rather watch–the ones above or Oxiclean’s professional looking content? A little effort in thumbnail images can make your YouTube channel look trusted and experienced in the industry. Perception is everything when you’re producing video content. YouTube is a great avenue to co-market your brand with another company. Co-marketing has become a helpful strategy for many businesses trying to increase their audience size and YouTube subscribers count. For example, Target often collaborates with other brands sold in its store to highlight new products customers might not know about. Its video series “This Just In” talks about one specific brand in each of its videos. This marketing strategy not only helps Target customers, but also those interested in Sugarfix by BaubleBar. Teaming up with brands that have massive audiences has serious growth perks. However, you can’t just hit up Target and ask for a co-marketing video. Start smaller with brands specifically in your industry and maybe focus on those just getting into the game. If you build up a few co-marketing videos with other brands, bigger companies will likely be more willing to participate in your video series. Adding annotations to your YouTube videos is one of the best ways to engage viewers and make the content more interactive. With specific annotations, you can layer your hotspots, text over the video and add links to certain parts of the story. Like we mentioned before, promoting your brand is good, but being overly promotional is bad. Make sure you provide annotations that allow users to skip ahead in the video, easily locate your subscribe button and even jump ahead to another video. You can also set annotations to link toward your home or landing pages, but to truly get more subscribers, you want to focus on your content on YouTube. Making the hard sell can do more harm than good. 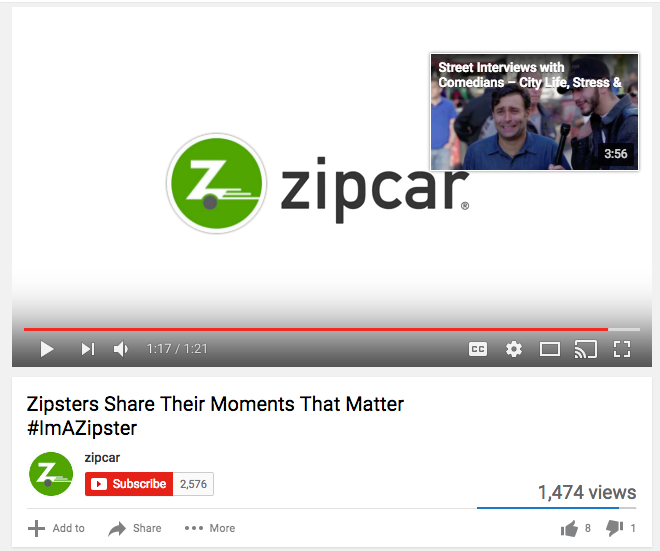 Zipcar creates annotations for other recommended videos before the content ends. The purpose is to keep you engaged and to watch more content. While it’s not needed for every video, see how annotations can work with your content. If you want to learn how to get more subscribers, it’s smart to give users a reason to come back. The better case you make for your brand, the more likely you are to see shares, links to your channel and a higher number of subscribers. One of the best ways to leave a lasting impression is through social media engagement. This means you should try to answer comments or reach out to users who maybe asked for this type of content previously. 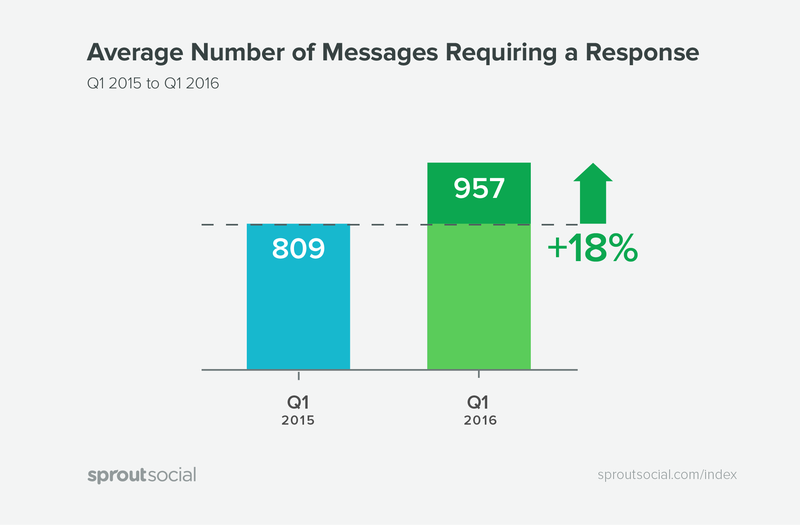 According to the Sprout Social Q2 2016 Index, brands only reply to 11% of incoming messages on social. On top of that, the average brand receives 957 messages on social needing a response per quarter. Be friendly, post relevant content and engage with your users to keep your followers coming back. 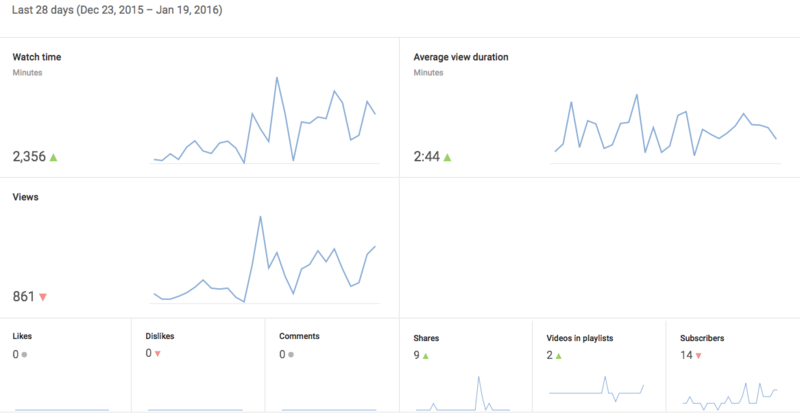 If you haven’t dove into the plethora of information about your YouTube analytics, you’re certainly missing out on plenty of opportunities. Start with the Overview Report to see how your content performed over the last 28 days. Other questions you should answer with your analytics are where are my customers and what devices are they using to watch my content? Luckily, YouTube has stellar native platform analytics tools to track users per location. Easily get visual or statistical breakdowns of where your audience lives. Secondly, use the devices report to track how people are watching your videos. With nearly 50% of YouTube traffic coming from mobile, it’s smart to think of content length, annotation placement and other factors that could be an issue with mobile. If you follow these steps, you’re sure to see a spike in your subscribers. Just remember to never take advantage of your community and engage wherever possible.